The intense battle between man and fish is "an adrenaline junkie's dream," says fisherman and ship captain Jeff Mills in Friday's premiere of Catching Monsters. 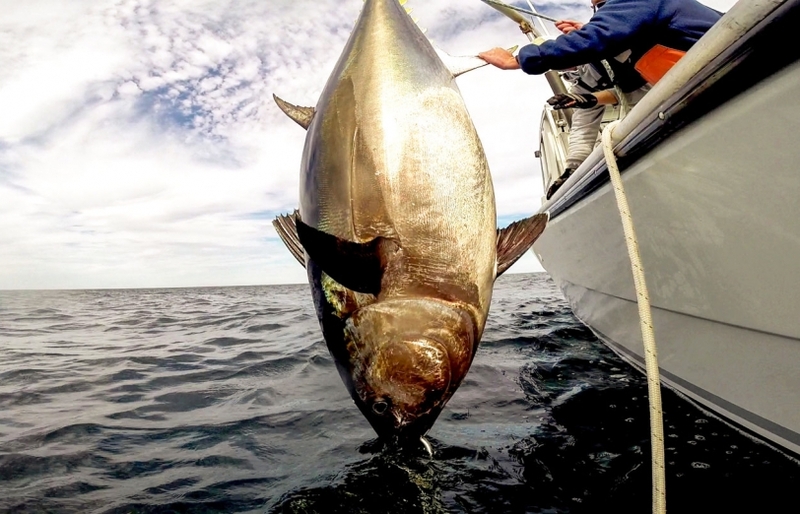 Discovery's new reality series follows fearless fishermen as they search for the largest fish in the world: The Atlantic Bluefin Tuna. The monsters, which can weigh in at 1,500 pounds and 15 feet long, lurk deep in the North Atlantic's hallowed waters and are worth over $10,000. With only one chance to catch this valuable prize, these fishermen have to be as strong and stealthy as their prey.